Where did you grow up and when did you first got involved with music? I grew up in Vienna and my first involvement with music came with seeing the various great Beat Groups live in concert, such as The Rolling Stones, The Kinks and The Liverbirds. Soon afterward, I became interested in collecting their music. 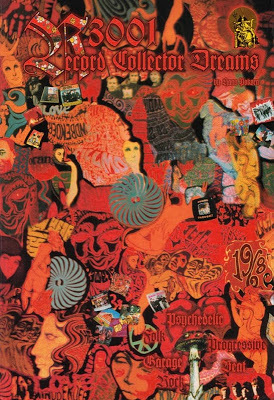 By 1967, I already had records from The Beatles, The Rolling Stones, The Pretty Things, P.J. Proby, Them, The Boots (Germany) and The Slaves (Austria) and my favorite music was the R&B/Garage sounds. 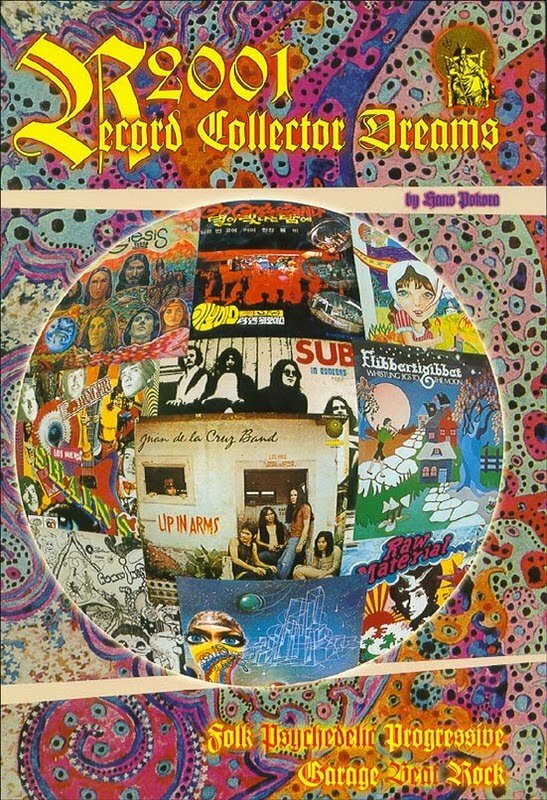 By the early 1970’s, I was collecting Beat Group LPs from all over the world and I started to make worldwide contacts with like-minded collectors and it took a lot of effort to make these connections. 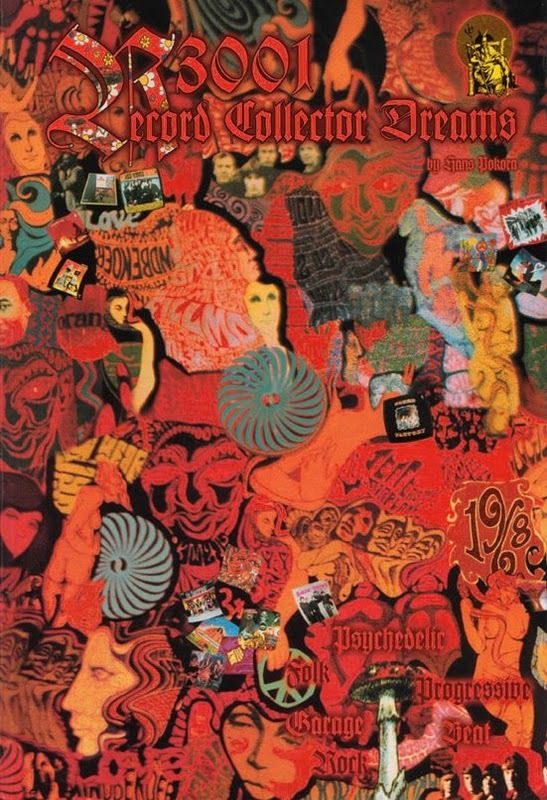 A little bit later, my musical interests started to change and I started listening to psychedelic, progressive (including Krautrock) and folk music. At what point did you decide to start sharing your knowledge with others? 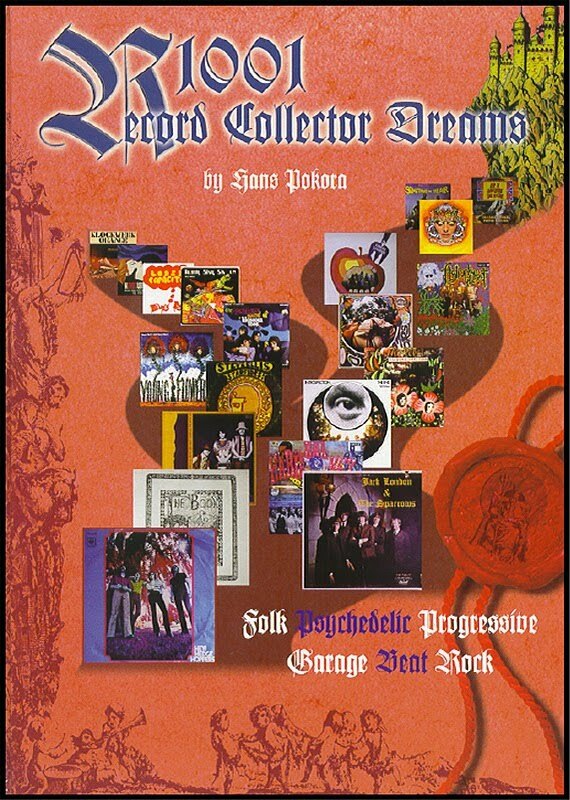 At the end of the 1980’s, I wrote a few articles about Beat Groups in various music magazines and, in 1995, I published “The Rare Record Cover Book”, featuring the rarest UK Beat LPs issued worldwide, many with unique covers and track listings. You collected an amazing amount of information. How did you find so many obscure bands? Most collectors are interested only in UK/US groups and their own country’s records and they provide me with information about interesting music worldwide. In the early 1980’s, I traveled all over the world to visit my record collector friends to get information about obscure records. During this time, there weren’t any record collector magazines until UK’s “Record Collector” and “Goldmine” magazine from the U.S came onto the scene. Through these magazines, I was able to find good vinyl collectors and visit many of them. How does a typical research day look like? My worldwide collector friends alert me to the rarest and most obscure records and I receive many tape recordings from them. If it turns out to be something of interest, then I will try to secure a copy of the album for my own collection. These days there are still a lot of private press releases waiting to be discovered. Absolutely… I have found some totally unknown private press records/acetates that were never released, that are fantastic, musically speaking. Do you think there’s still a lot of undiscovered music? Yes, some very good records have survived as private pressings and acetates. Last year I found some fantastic nuggets that were previously unknown on the collector’s scene!!! I bet you have some really interesting stories from years and years of record collecting to share. In the 1980’s, I traveled around the world and one time I was fortunate enough to find a fantastic South African radio station collection – all in perfect condition, and with many rarities – in a Johannesburg record store. I’ve also had good luck at flea markets and secondhand shops in Australia and New Zealand. During the 1980’s, I bought many records through Goldmine magazine. We have a great record collector’s scene in Vienna! 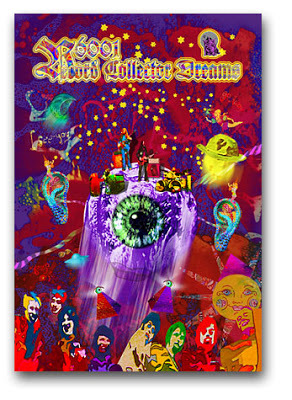 1001 RECORD COLLECTOR DREAMS is your first book, right? My first book was ‘Rare Record Cover Book,” which featured rare UK Beat Group albums. This was published in the mid-1990s. After this, I decided to start the ‘Record Collector Dreams’ series, featuring worldwide releases of the best in beat, psychedelic, folk, progressive, etc. For the new series of books, I shared all of my knowledge regarding rare/desirable releases and their values. You have a brand new one: 6001 RECORD COLLECTOR DREAMS. In the latest book, I decided to showcase some very fine LPs from Africa and Thailand. Albums from these countries have really gained in popularity during the last few years and are highly sought after by collectors. Since I’m from Slovenia, I would like to know how did you get information about our bands like for instance Sedmina? I get a lot of good information from collectors and dealers at the various record fairs that I have visited during the last 35 years. My first favorite Slovenian LP is the 1st album by Tomaž Pengov. I like this album very much. We also have several Austrian collectors that collect records from Slovenia, Croatia, Bosnia and Serbia. What do you do apart from record collecting? I’m in business as a freelancer and curator for music and psychedelic art. I’m also a fashion buyer and adviser. Did you release something else than RECORD COLLECTOR DREAMS? 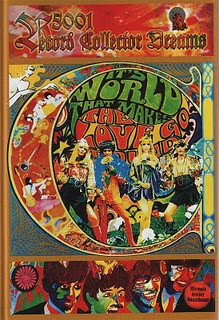 My start was in the 1980’s with a magazine helping to compile the rarest Beatles albums from around the world, similar to my “Rare Record Cover Book”. I’d eventually like to make all of my books available on CD. Lately, I’ve been very fascinated by the music of Waipot Petsuwan, Petch Pin Thong (Thailand), and BLO “Phase One”. I also like Ofege’s first album, Amanaz, Chrissy Zebby Tembo and Witch. Thank you very much for taking your time, Hans. Vinyl is life and it’s better sounding than CDs and it’s a culture with value. Live your own music dreams!!! Servus nach Oesterreich...tolles Interview ,great interview!! !I like it ..
We are talking here of two different things, the value of the music itself and the value of a collectable record, they are not related to each other the financial value of a record is given by its rarity and by the number of collectors ready to pay a high price to get it. Actually collecting records is a hobby for people who has complex and want to present themselves upon their collection.Most of the rare and obscure records featured in Hans books are rare and obscure because they only appeal to a few people's taste and even if reissued and raved in special press article they will remain a marginal release and interest a few number of people. In all fields of art forms there are collectors that will search for the obscure and rare and beyond that taste is subjective and every collector will think of it's taste as the best. Very cool and rare connection with the man. There are a few (i will leave them nameless) BIG record dealers in Canada who's corner stone of success is OWED directly to Pokora. It's getting redundant to meet these people and they pull out all the books by Pok and wink at me.. like 'this is the big secret' .. first time that happened was one of the biggest dealers in Vancouver showed me the books in 2001. 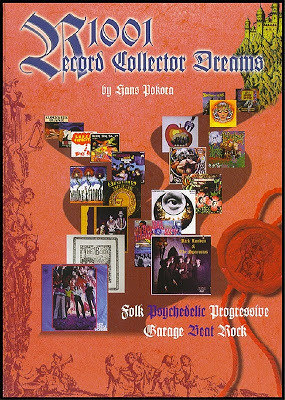 I was collecting private, rare, psych prog folk already but had never heard of the books. I still don't have them but I understand their importance. This guy opened doors for people. I have much respect. 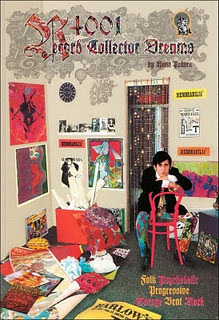 I wonder if he met the big Quebec Collector (I'm in Canada) who wrote the book in the 80s about rare punk garage psych groups from the 60s in Canada.... dang I forget his name at the moment.. That was MY holy grail book but it's quality of book does not compare to Pokoras. His book was photocopied pages compared to this opus of a collection. Anonymous makes unintentionally the point that I stand behind, people who search out the obscure (and usually good records) have a frame of mind of individuality. They don't need the TOP 40 to dictate. The rare records reflect the variation the dynamics the artistry of human kind through the art form of music. Anonymous has a crass ignorant position and is obviously justifying the ignorance with their lack of comment. Pokora is one of the few who stuck to his interest and he made a cornerstone a beacon of light for others with the same non sheep minded ideals.